There is a lot of press on this topic today, Hurricane Katrina’s 2nd Anniversary; President Bush making his BS appearance, murder on the rise in New Orleans, questions of should New Orleans rebuild? (Hell Yes!) If you would like more information on where New Orleans is today, two years later visit Hurricane Katrina News. 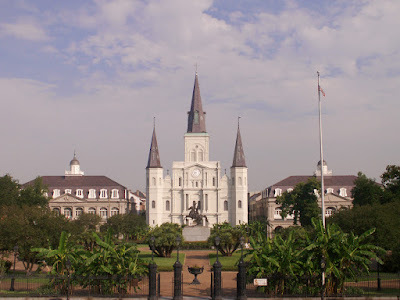 Jackson Square in all of its glory! Rosegate a home in the Garden district, former home of Anne Rice. 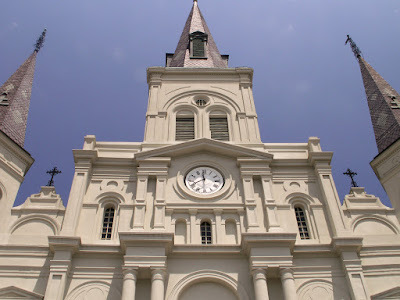 What a beautiful place…New Orleans that is. 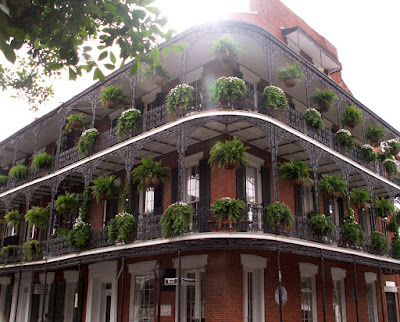 Gorgeous balconies in the French Quarter. 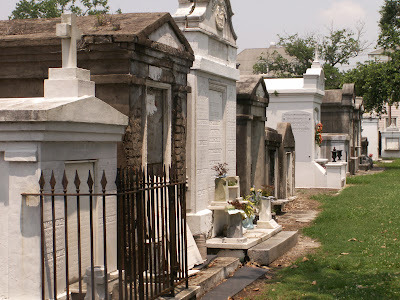 Cities of the Dead, the fascinating above ground cemeteries of New Orleans. This picture was taken in Lafayette Cemetery, just across the wall from Commander’s Palace. 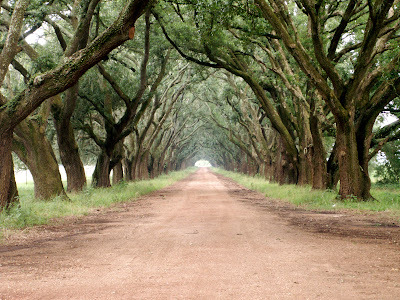 Live Oak lined roads, remnants of Plantations that once were. 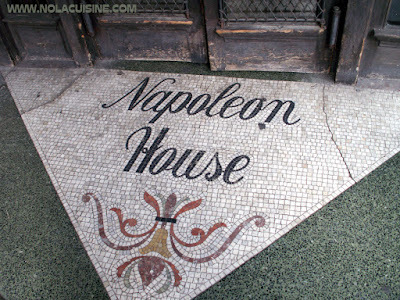 Lunch or cocktails at Napoleon House. 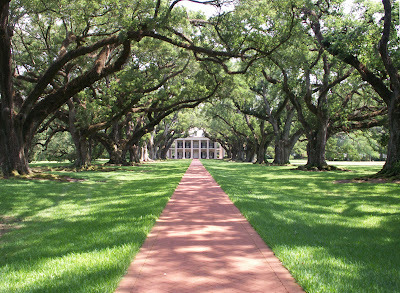 An amazing view of Bon Sejour a.k.a Oak Alley Plantation. Audubon Aquarium of the Americas. My favorite exhibit is the Jellyfish, they are hypnotic! 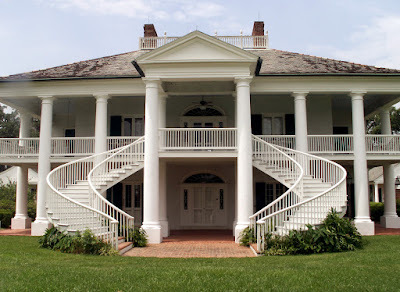 The “Big House” at Evergreen Plantation, Edgard Louisiana. 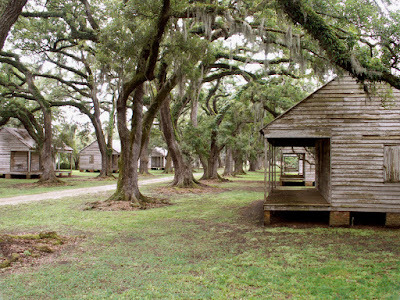 Twenty One totally intact slave cabins at Evergreen Plantation, a haunting sight and a feeling that you will never forget. The chills are up my spine just viewing the photos. 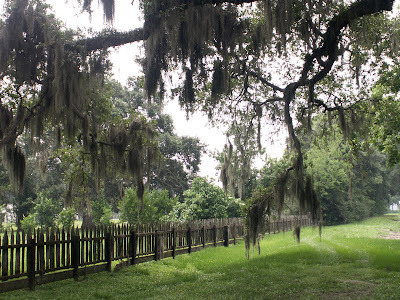 You will stand in the midst of those cabins, beneath the “silence” of those live oaks, buzzing with bugs, and feel something as thick as mud, that you probably do not want to feel. You will leave a different person. Never since my childhood trip to Gettysburg have I “felt” history as I did here. Dinner at Commander’s Palace, my lord they blow me away every time! 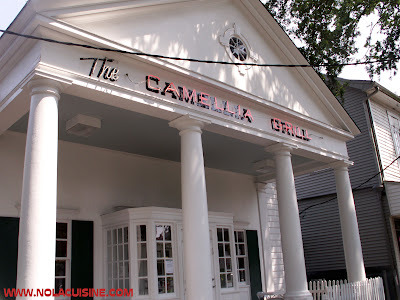 My favorite place to eat on earth. Tee-Eva’s Pralines & Pies on Magazine Street! I have many more posts to share from our trip and will share them as soon as possible! 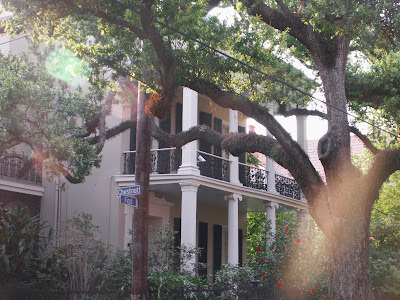 Actually, I can’t wait to get back to explore more, it drives me crazy to look at the pics because it makes me miss the place so much, just imagine how the displaced folks who call New Orleans their home must feel. Excellent post. Technically the plantations are on the outskirts of the city, but they’re still a good draw. You hit the nail on the head as far as places to eat. 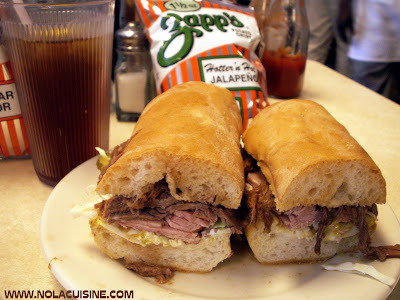 If I had to add one more thing to the list, it would be getting a filled King Cake from Antoine’s bakery. This has been an informative post for me, Dano. Thanks. Superb post. As a Limey food lover (now in NZ) who has longed to visit NO but not made it so far, this post has reaffirmed my intention to do so. Watched a documentary on post-Katrina NO a few days back and heard both sides of the no/rebuild argument. Hard call, especially if the money’s not available to raise the levees higher and protect the lower lying areas as was inferred in the doc. Recently came across your blog and enjoy your writings, postings and pictures. Sadly I have never made it out to visit the plantations. I do always think of Interview with a Vampire when I see the pictures though…. You are right there is so much to see and do in the city right now. I wrote this about how the city is viewed from the outside and the part that our cuisine is playing in the recovery. It’s been awhile since I’ve been to your site. You’ve updated it since I was here last. Your recipes sound and look delicious. With that new orleans flair. If you get across the lake you’ve got to try Sal and Judy’s in Lacombe, great food, you might call for areservation, especially around a holiday.